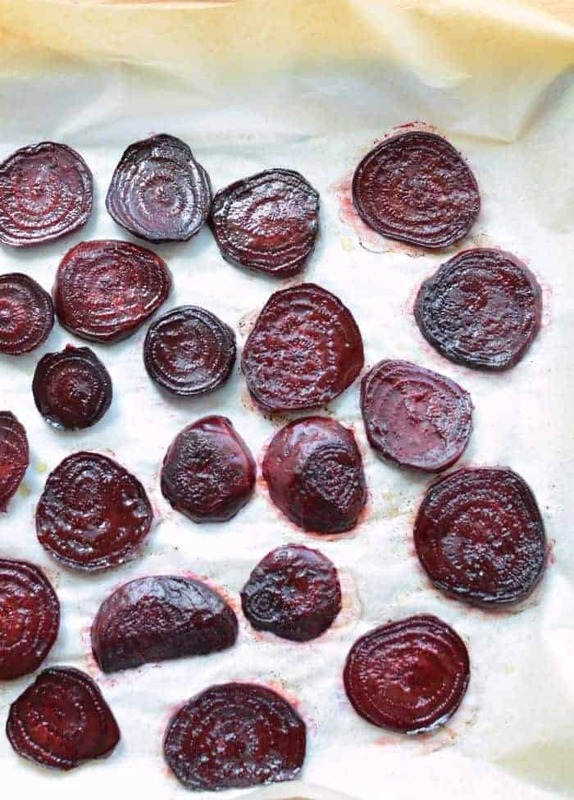 Simple roasted beets are made with just beets, salt, and oil. This is my go-to beet recipe all fall long! This Simple Roasted Beets recipe is just about the only beet recipe you need in your life (except for maybe pickled beets – those are good too). So many people tell me that beets taste like dirt to them, but I think you’ll change your mind after you have them roasted with a little olive oil and kosher salt. The simplest things are often the best. I do love beets, and if you ask me, roasting them is the absolute best way to cook them. It makes them candy sweet. These would be perfect as a simple side to just about any meal and if you have a few leftover, they are excellent served cold in salads. I have beets coming up in masses in my garden, and this is what I do with them over and over again. My kids will even eat them when they are hot off the pan and just a little crispy around the edges. I’m telling you, I aim to make a beet fan out of you and this is where it starts. Give the beets a good scrub (like you would a potato) to get any hidden dirt off. I have this little scrubber and we love it. Then use a sharp knife to cut off the tops and bottoms (stem and root ends) of your beets. Use a paring knife or a vegetable peeler to remove the skin from the outside of the beet. Both are good options. Cutting beets will stain your hands red and stain any curtains or clothes that might be nearby. Wear gloves if you don’t want red fingers and an apron to shield your clothes if needed. Did you know that beets are high in fiber, potassium, vitamin C, and magnesium? Now you do! When picking out beets at the store, choose ones that are firm to the touch and have nice perky greens on top instead of droopy wilty greens and soft beet roots (the part we eat). Did you know that you can wash and eat the beet tops too? They are pretty strong as far as greens go, but are loaded with all kinds of vitamins and minerals. I use a little in my green smoothies or sauté them up with olive oil and salt. Small leaves are good raw in salads too. Wash the beets and use a vegetable scrubber to wash the outside. Remove the stem and root end with a sharp knife. Use a vegetable peeler or paring knife to peel the beets. 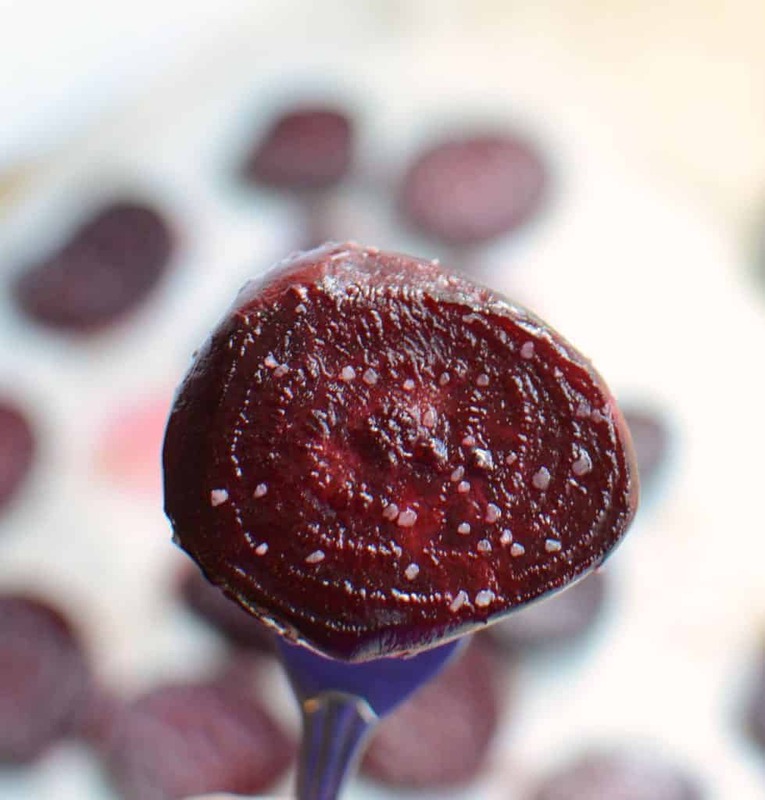 Slice the beets into 1/4″ thick rounds and place them in a small bowl. Drizzle the olive oil over the sliced beets and then toss to combine. 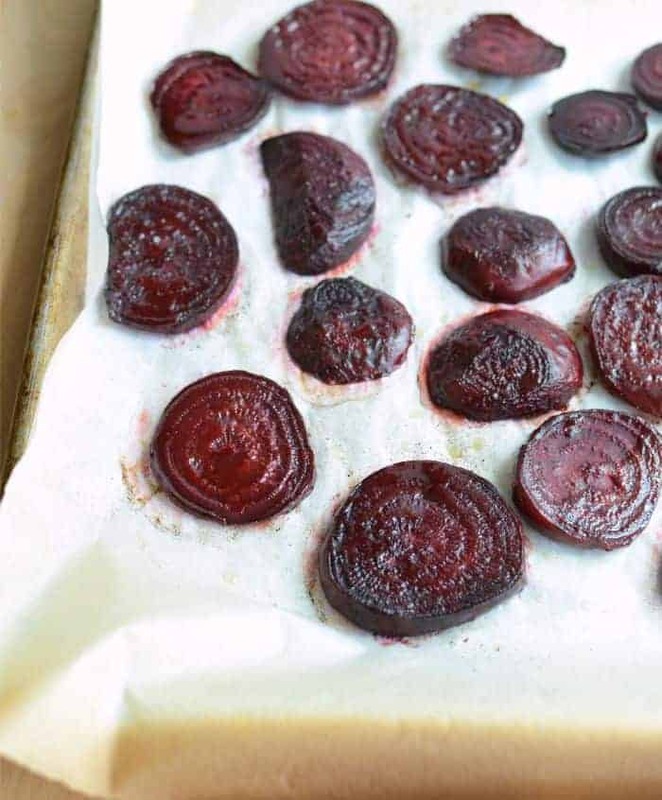 Place the sliced beets in a single layer on your prepared baking sheet and sprinkle with kosher salt. Roast in the hot oven until the beets are fork tender, 10-15 minutes. Enjoy hot with additional salt to taste. I’m anxious to hear how your holiday went! I’d love to know where you spent it, who you were with, and what your favorite part of the weekend was! Expect a little report from me later in the week too. I love roast beets! We like to add some Italian seasoning and garlic powder to them and then cook them on the BBQ. I love the little chard bits. We spent it throwing up. The older boys had the stomach bug earlier in the week, so Thursday night/Friday the rest of us took a turn. Glad we didn’t go anywhere for thanksgiving this year! We didn’t infect anyone. I don’t care for beets, but made them for hubby & FIL…they loved them…and even I enjoyed their sweet, rich flavor! Used red & yellow beets, and will certainly be making again! I LOVE beets! 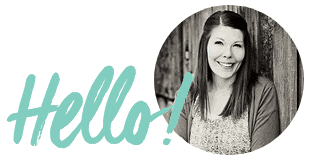 Maybe this simple recipe can make my husband love them, too — thanks so much for sharing! Your recipe was perfect for my salad (steak, spinach, goat cheese, and pecans). You came through in a clutch, as I remembered the beets last minute; an hour of roasting wasn’t going to cut it. If I did everything except peel, would the peeling come off easy after roasting them? I’m not a huge fan of peeling things. I know people that do that and I think it would work but I haven’t tried it. If you do, will you let me know?! I leave the peels on. Just scrub good. Soooo good !! Thank you ? I left out the oil & used salt only, they were lovely. So glad that they worked out for you even without the oil. I’m going to try that next time! Yummy mwah ur chef Foxx KalenaFoxx ????? I love beets so much. 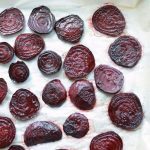 First time I came across to roasted beets recipe and this simple roasted beets look delicious. We can use this in the salad. 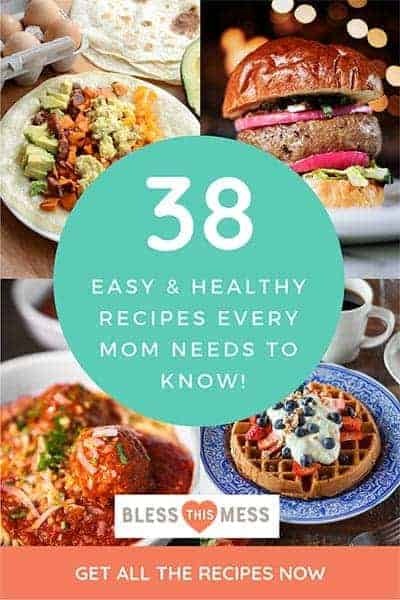 I enjoy ur sassy writing style miss melissa…I have always wondered how to cook beets….simple and awesome..
Love this recipie …. but consider recommending another solution than wearing plastic gloves to protect from beet stains. Soap and cold water will deal with the stain and the gloves are horrible for the environment. 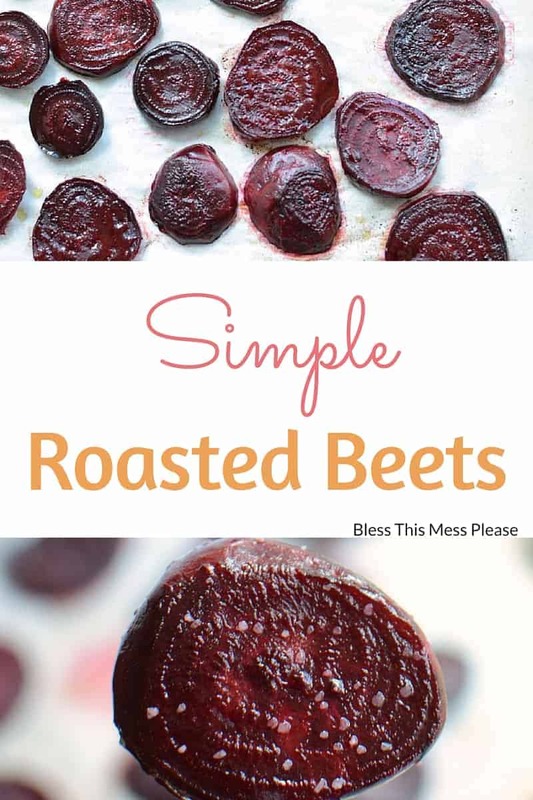 Such simple beets and so yummy! Why would you scrub your beets if you’re just going to peel them anyway? Beets can be super dirty but the grit can be small and it’s not pleasant to eat and I grow my own so they are straight out of the ground. A good scrub is always a good idea.